Oklahoma Drug and Alcohol Treatment Facilities. Are you looking for Oklahoma Drug and Alcohol Treatment Centers? Our listings listed below can help. The drug which poses the biggest threat to Oklahoma and law enforcement agencies is crystal meth. It is manufactured and shipped in from the southwestern region of the United States and also Mexico. Other problematic drugs include cocaine and crack. Cocaine can be easily found throughout Oklahoma. Most of it is smuggled into the state from Mexico and Texas. While some of it is sold in powder form, other amounts are cooked, converted into crack and then sold. Heroin, while available, is not as problematic as cocaine and crack. It can be found mostly in the more populous areas of the state. Black tar heroin is by far the most easily attainable. Brown and white heroin can be purchased, though they are more difficult to find. Fortunately, heroin use has decreased in the last few years and thus is not a major concern for law enforcement. Methamphetamine, however, continues to be quite problematic. The drug trade is dominated by Hispanic drug trafficking organizations. It is also manufactured within the state via small labs. However, the amount of drugs that these types of laboratories put out is not significant. Their production has declined in the past few years largely due to law passed in 2004 which limited the amount of pseudoephedrine that can be purchased. Mexican marijuana is the most commonly form of the drug found in this state. There are some domestic crops which are sold. However, they do not make up a large amount of the available supply of marijuana trafficked in Oklahoma. Pharmaceutical drugs which are abused most in Oklahoma are Hydrocodone and Oxycodone based products. Methadone abuse is an increasing concern with more and more individuals using it for nonmedical purposes. 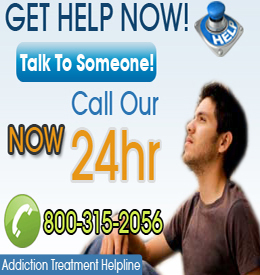 Choose a City to Find Addiction Help in Oklahoma.